Getting acquainted with the world of credit cards? We advise to familiarize yourself with managing a credit card by getting one of best prepaid debit cards. Prepaid cards offer guaranteed approval for all customers without credit check, and they can be used just like a regular credit card for purchases and bill payments. Best of all, you do not have to worry about interest rates, late fees or exceeding your credit limit. Prepaid debit cards are designed to teach you budgeting card payments and provide you with secure way to shop. Scroll down to find the right card for you! Prepaid debit cards do not require credit history, so they are a great way to familiarize yourself with managing a card account. You can conveniently manage your finances using a reloadable prepaid card. To start using a prepaid card, you will need to load it first using a direct deposit or any other available option. A prepaid card allows you to use your own money and therefore, there are no interest rates, late payment fees or any other fees that are usually associated with a credit account. Prepaid and debit cards do not help you to build or improve credit rating as they are not reported to the major credit bureaus. However, using a prepaid card you can get into the habit of paying your bills on time, which will be a good help once you have a credit card. Prepaid debit cards offer guaranteed approval for all customers. Since no credit line is extended, there is no need to check your credit history or employment. You can use prepaid cards to make secure online purchases and bill payments. 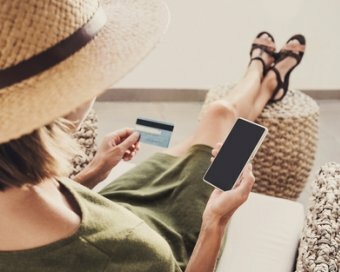 While prepaid cards do not have all protections that are offered with credit cards, you are still protected and can dispute unauthorized charges. Cardholders can also benefit from incentives like cash back offers and rewards programs. However, only a limited number of prepaid cards gives access to such programs. Prepaid debit cards allow to control expenses. You can load your card with money you are planning to spend this month and thus, keep track of your budget. You can avoid annoying monthly and annual fees. Some prepaid cards waive monthly fees if you maintain specific balance or load a deposit once a month. Most prepaid cards have no activation fee. Online prepaid card offers have various options, including no fee options. No worries about late or overdraft charges. 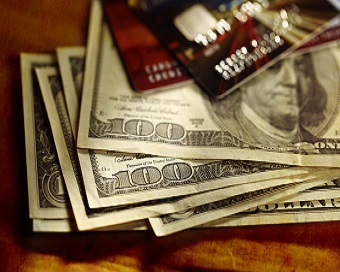 Most prepaid cards simply decline a transaction if its amount exceeds available funds. I would like to apply for a Kroger prepaid card, but I don't understand exactly how it works. What is a prepaid card, and is it really different from another type of credit card? Is there a prepaid credit card I can apply for and which can be delivered overnight with my name imprinted on the card?